i’m not a font policeperson, nor do i aspire to be one. but i do agree with them on one thing: ikea’s choice to move from futura to verdana was a bad one. i remember my first awkward photoshop sessions in the nineties—i’d always use futura in all my creations—it was the coolest looking font that came bundled with my pc at the time. as a result, i have this soft spot in my heart for the bold sans-serif. you know who else likes futura besides me and the font police? 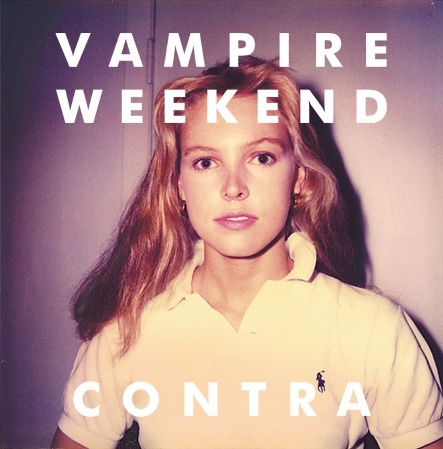 vampire weekend. that’s right, the columbia graduates who seem poised to make the rare leap from indie-rock street-cred darlings to general market provocateurs use it on everything, including their most recent release, contra. no matter your stance on the new york band, you have to admit the cover is elegant with its futura bold tracked to perfection. and you know who else likes futura? wes anderson. he’s used it in some fashion or form in his last four movies: the fantastic mr. fox, darjeeling limited, life aquatic and the royal tenenbaums. and for good reason, it’s such a timeless font. why is futura a timeless font? well, for one, it was designed by paul renner, a german (aren’t they all?) who straddled the 19th and 20th centuries. he was not a fan of abstraction in art but he was good friends with jan tschichold, the emminent typographer who championed modernist design. so the font is like this nice link between traditional and modern. see how that works? so i’m joining with the font police and toasting futura. it’s so much better than verdana. Another filmmaker with a Futura fetish was Stanley Kubrick – Futura Extra Bold is omnipresent on most of the posters for his movies. Vaughan Oliver’s sleeve art for Lush and Ultra Vivid Scene in the early 90’s led me into a pretty severe infatuation with Futura Extra Bold in those days. Even now, there are times when I find tightly tracked Futura Extra Bold Oblique irresistible.